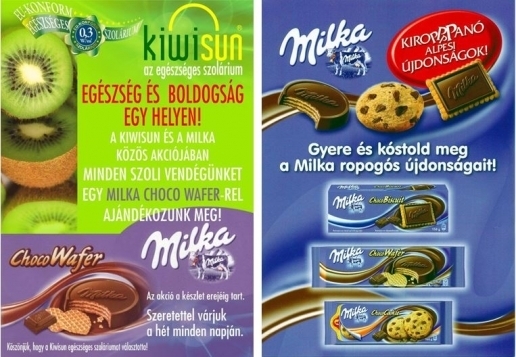 Over the past few years, KiwiSun Tanning SalonFranchise Network has become a potential cooperating partner for a number ofHungarian and multinational corporations. In order to achieve their marketing and brand buildinggoals, within the frameworks of multiple and continuous collaborations, intheir corporate partner relationships, they have strengthened each other’smarket positions as well as the recognition and popularity of their brands. 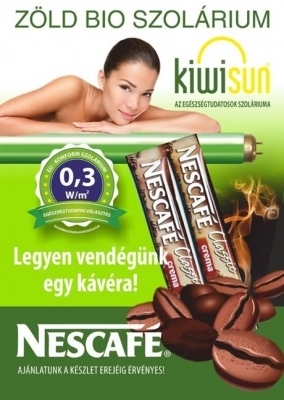 The KiwiSun Tanning Salon Franchise Network is thelargest and actually the only one in Hungary. KiwiSun has been operating successfully since 2006 andwe are happy to welcome more and more guests to our salons. The sales ofKiwiSun tanning salons keep growing continuously and dynamically, which is dueto the high standards of our services and the quality control proceduresestablished throughout this franchise-based system. KiwiSun applies, without compromising, the relevantEuropean Union standard, which has been implemented as a national standard,limiting and regulating the surface performance of tanning equipment. 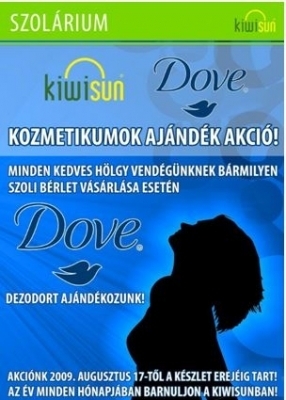 Based on the needs of our health-conscious clientele,KiwiSun has developed safe and harmless sunbeds which, owing to their specialtechnical design, have been a massive success in Hungary and internationally aswell. In our green bio sunbeds, KiwiSun’s latest innovation,which are equipped with state-of-the-art green tubes, guests may get apermanent tan, enjoying the positive health effects of colour therapy and thepower of nature; and hence we can rightly say that KiwiSun has opened a new erain tanning culture. A particularly large number of guests have returned tobenefit again and again from this renowned and popular service and KiwiSun canofficially guarantee them a safe and longer-lasting tanning experience. 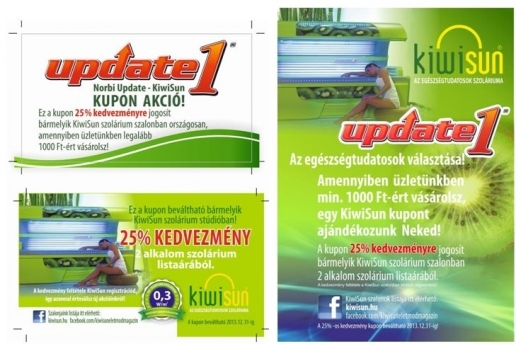 KiwiSun, the choice of health-conscious sunbed users. 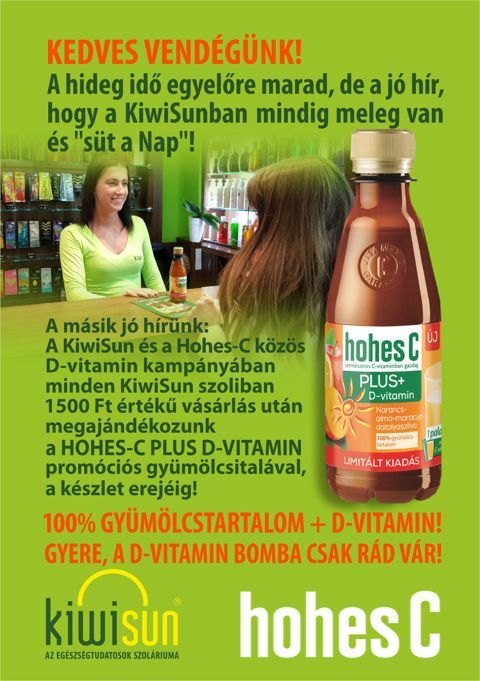 In Hungary, KiwiSun Tanning Salon Network is a chainwith nationwide coverage, which is characterised by rapid internationalexpansion. 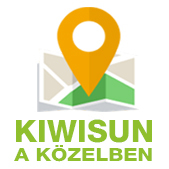 Besides Hungary, KiwiSun franchise salons are alreadypresent in many European countries, such as Greece, Austria and the UK. KiwiSunfranchise salons will be opened soon in Germany and Ireland as well, which isanother sign of international succ ess. 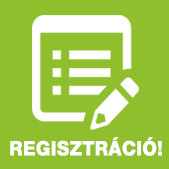 In Hungary, the number of the chain’s guestscontinuously exceeds 4,000 people per day; salons are open on all days of theweek until late in the evening. This way, we ensure that salons can accept thewidest range of clients, regardless of the official working hours, even in theweekends. Reception staff has a very close relationship withguests. In our salons, regulars are viewed as quasi-family members and owing tothis, KiwiSun has a direct impact on their taste and needs, which can be shapedcontinuously. 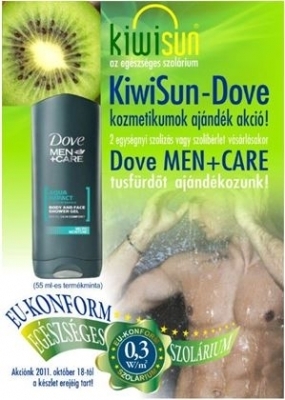 In recent years, a great deal of large international corporationshave chosen the KiwiSun franchise network to launch or promote their newproducts, since the KiwiSun chain can guarantee direct contact with customersand guests and that the product and the partner company’s leaflets will behanded over to them personally, along with some kind words. The KiwiSunNetwork is regularly chosen as a partner in marketing campaigns not only bycompanies manufacturing world-class products but also by service providers thatplace health-conscious and cutting-edge services in the forefront of theiractivities, as well. 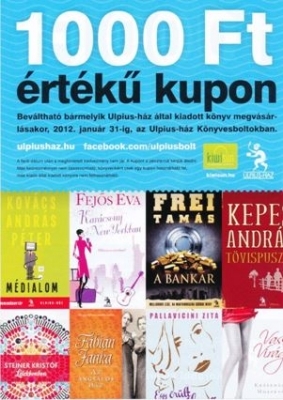 In addition, there are also publishers and commercialundertakings with which the KiwiSun chain has established a successfulcooperation, such as the ULPIUS HÁZ bookstore chain, which has a country-widenetwork. HOW CAN YOURCOMPANY ACHIEVE ITS DESIRED MARKETING GOALS WITH THE HELP OF THE KIWISUNNETWORK? 1. 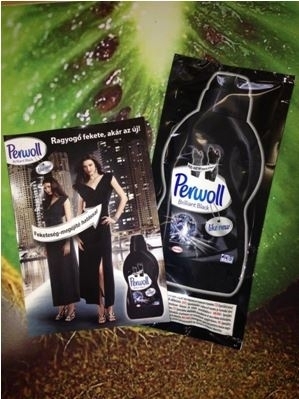 Placement of posters, flyers and other information in all our tanningbooths and salons. 2. Handing over materials, such as promotional gifts, product samples, giftcards, other coupons entitling to discounts, vouchers, etc. directly to theguests. 3. 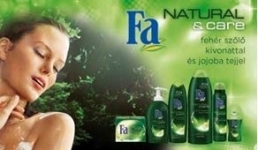 In the salons, uniform background music is played which, during theoperating hours, is continuously interrupted by advertising messages and guestshear these also when using the sunbeds. 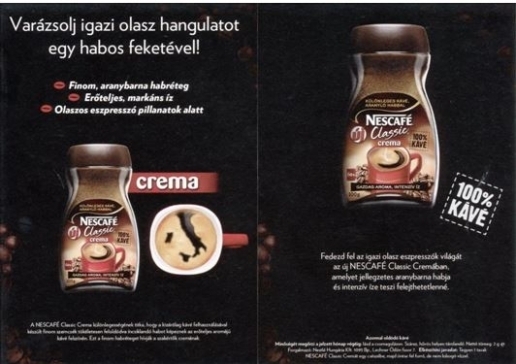 These adverts may convey the message ofyour undertaking or promotion on a daily basis and of course, they can be repeatedcontinuously. 5. Our guests are always registered; KiwiSun has a database of more than10,000 people who are waiting for the latest KiwiSun news each month. Thesemembers do not consider our messages as simple newsletters or spam because thenetwork continuously provides them with benefits that are available only tothem, so they react on our letters immediately. 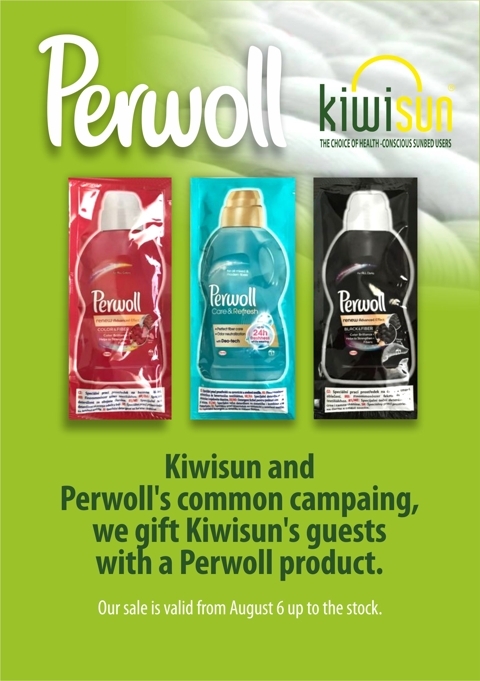 In these KiwiSun newsletters,we can provide a special space for your personal messages, or advertising spacefor your company’s promotions or campaigns. 6. There is also a possibility to set up a separate landing page on theKiwiSun website, which can only be accessed by your company’s guests orregistered users and this way, they can receive discounts in the KiwiSunNetwork. In our automated system, your company’s guests and customers can get apersonal confirmation of the discounts provided to them. 8. In addition to those listed, upon request, other appearances may beprovided to our cooperating partners (e.g. : placement of promotional desks atnetwork level, tastings, direct products demonstrations in KiwiSun salons,etc. ), which can be realised in the network on the basis of previousconsultations and a specific agreement. The clientele ofKiwiSun Tanning Salon Franchise Network keeps expanding both in terms of numberand the age group covered. As to theprofile of our guests, typically, the vast majority of them lay great emphasisand spend a lot of money on themselves, their health and appearance; they aredemanding and self-conscious people, who are open to novelties. Probably as aresult of being the pioneers of health-conscious and safe tanning culture, theaverage age of the KiwiSun salons’ guests keeps increasing. 80% of our clientsbelong to the 18-39 age group, while the rest is over 39 years of age. Thefemale-male proportion is 65-35%. This ratio, however, is continuously gettingcloser to 50-50%, which is an observed new trend. Several surveys have shownthat in the significant majority of purchases, the actual decision is made bywomen; therefore, their motivation can efficiently be influenced. The salonsbelonging to the KiwiSun network, due to our high-quality services and priceswhich are affordable even under the current economic conditions, reach peoplewith A, B and C consumer profile; they are an important base if you wish toreduce waste coverage, so that the product or service offered reaches theconsumers in a targeted manner. 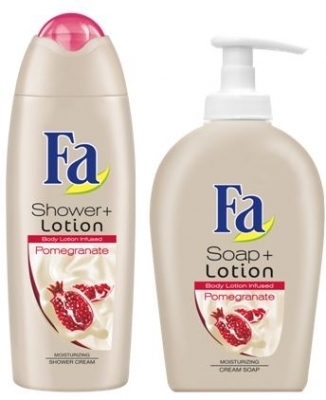 Furthernarrowing down these categories, we can state that 45% of the KiwiSun tanningsalons’ customer base belongs to the A and B profiles; that is, direct accesscan be provided to a group of people with strong purchasing power. The KiwiSunNetwork’s Head Office may provide the firm or media represented by you withmarketing communications services using the service framework described above. We are lookingforward to receiving your message or inquiry.